In an ideal world, any rug advertised as being “Oriental” would be authentic. Sadly, we don’t live in such a world, and there are many fakes out there. 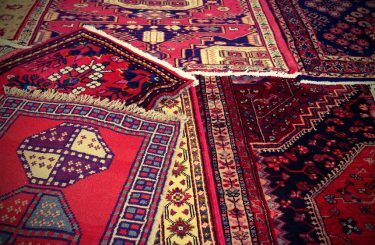 This includes rugs that look almost identical to authentic Oriental rugs, but that are machine made, rather than being handmade. How do you tell the difference between the two? While it might seem confusing at first, it’s actually not that difficult. 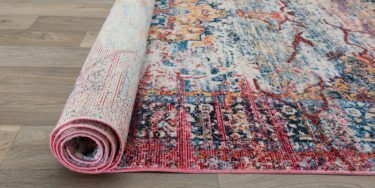 Find a label for the rug (itself a sign that you have a machine-made rug, rather than a handmade Oriental rug), and look at the materials used in its construction. If you see anything that’s not naturally derived, such as nylon, acrylic, or polyester, you have a machine-made rug, not a handmade one. 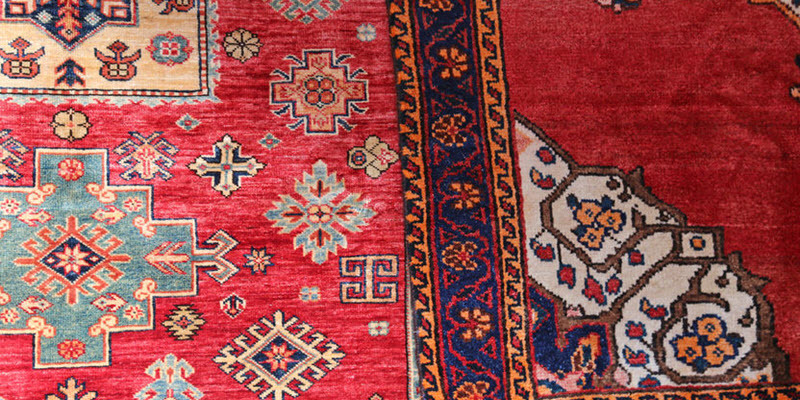 Handmade rugs are only made with organic materials, like wool, silk and sometimes jute. Turn the rug over and look at the bottom. There are several things to look for here. First, if there’s a backing, that’s a dead giveaway that you’re holding a fake rug. 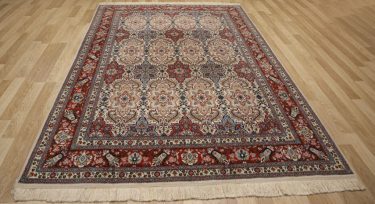 However, even if there is no backing material, that doesn’t mean you’ve got an authentic Oriental rug. Look at the weaving and the knots. Are they perfectly symmetrical? If so, you’re probably holding a machine-made rug. Hand weaving creates small inconsistencies, even with the most skilled of weavers. If you cannot see individual knots when you look at the back of the rug, you’re most likely holding a fake. With a handmade rug, you will notice slight imperfections throughout. The edges might not be ruler straight from side to side. There might be slight color inconsistencies in the rug. With a machine-made rug, you’ll get the overall impression that it’s completely perfect. The lines will be straight from side to side. There will be no imperfections and no differences throughout the rug. Hand weaving creates small differences. No two hand woven rugs are completely the same. That cannot be said for machine-made rugs, though. Look carefully at the design of the rug’s pattern. Look at it from the front and from the back. In a handmade rug, the design will be a mirror image of itself on both sides. In a machine-made rug, the back side will show differences in the design. Determine where the rug was made. This information should be available from paperwork that came when the rug when it was purchased. If the rug is made in the US or in Europe, it’s most likely machine made. If it originated in a Middle Eastern nation, there’s a better chance that it is handmade. 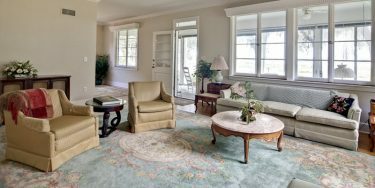 Follow these tips and you’ll be better informed when it comes to purchasing an authentic Oriental rug that is handmade rather than being made on a machine.